Okay, so you slogged hard (not exactly true, I know) to make your golden paste. You ensured that all ingredients are present to make it healthy. You make sure that you store it in a nice glass jar so that you can use it when required. You are happy but suddenly your heart sinks, how the hell I am going to use this paste! The paste you felt will only last for a few days seems will be there for months! If you have this feeling, do not worry, absolutely common and we call it – “what to do with my golden paste syndrome” [just kidding]. Most of these useful tips are based on the philosophy that turmeric should be part of your life and not taken as a medication. One very popular way, especially if you are like me who loves turmeric’s taste this can be a great way to take your turmeric paste. Take small quantities 2-3 times a day. Some may not like turmeric paste’s taste as such. In such a situation adding good quality, honey makes the job easy. Use organic honey if possible. Manuka honey is considered to be the best. Adding honey (should be pure) to paste enhances its already existing health benefits. How to take? Just mix the paste with honey (based on taste) and that’s it! Golden milk/turmeric milk is one of the most popular ways to take turmeric in the daily diet. Turmeric milk is extremely popular in Asian countries. You just need to add some turmeric paste in your warm milk and drink it. That’s all! Warm milk at night helps in inducing sleep apart from its usual benefits to bones etc. We all love salads! Salads are healthy and fiber-rich. So why not make them even healthier by adding turmeric paste? A small amount of turmeric paste does not alter the taste of salad but ensure you get its benefit. Great for people who cannot take paste otherwise. There is no limit to innovations you can do here. Since then I have seen users adding turmeric paste to all kinds of smoothies and making their favorite ones even healthier. One of our readers emailed me a unique way to take her paste. She makes healthy smoothies on a regular basis and just loves them. She was trying to take turmeric paste but hated it. One day, as an experiment she added a small amount of paste in one of the smoothies and wolah! Success! She loved it. Curries are an important part of our food. One great way to include turmeric is to add turmeric paste in curries. It is an extremely easy way and effective as curries are regular and thus it makes taking turmeric paste regularly too! Many of us have rice in meals or otherwise. If you are a dry fruit lover, you will love this recipe by Doug English. The recipe talks using turmeric from start. If you already have a paste just warm it a bit and add the dry fruits of your choice. Another great way to have turmeric paste. You can add turmeric paste to warm cup of water, add honey and your quick turmeric tea is ready. As a variation, I added a small quantity of paste to my green tea. Well, the color looked really odd after that but the taste was good! Adding a small quantity of turmeric warm soup can be a great idea. It does not alter the taste and you get benefits of turmeric paste. As you can see I keep stressing to add small quantities of turmeric. This is because it is better to take small quantity 3-4 times a day rather than one single large one once a day. The method of using turmeric paste is literally infinite and only limited by your imagination and taste. 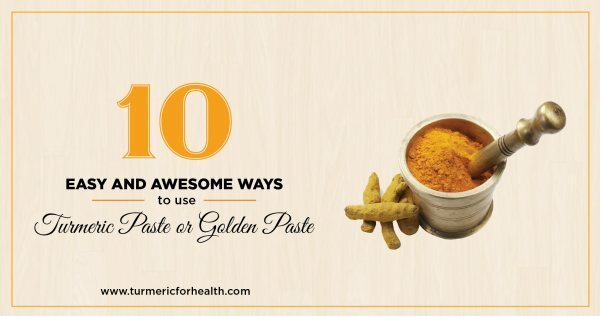 If you have some other great idea of taking turmeric paste, please share as a comment or email me, I will add them to the list with due credits. Can i take Golden paste with warm water for depression. Hola, puedo poner la pasta dorada con miel en medio vaso de agua tibia? Does tumeric ever completely dissolve cooking it?? I tend to choke on granules in tea. Turmeric is fat soluble. It is not water soluble though its solubility increases in warm water. You should consider straining the tea before consumption. Mixture of turmeric and pepper powder can be heated along with Jaggery, rolled into pills and consumed by sucking at different hours of the day. I tried Curcumin capsules, but my stomach could not tolerate them. I’d still like to use turmeric. I’m willing to go the Golden Paste route, however will I have the same side effects? Does anybody know? Hi. Sorry to hear that curcumin didn’t suit you. Dietary turmeric is safe. About trying golden paste, start with really small amounts to identify whether you experience side effects. Start with 1/4 tsp a day and then gradually build up the dose over weeks. Please take it after a meal to avoid any gastric side effects. Avoid taking it at the same time when you take any medication. I thought I was the only one but have now learned that another person has had the same reaction to turmeric. Too much turmeric encourages diarrhea or excessive bowel movements. I have cut it back to eliminate this. With that, I don’t know that I will receive all the benefits. So, what is considered a proper serving of the golden paste? You said small amount 3-4 times a day. A teaspoon? Tablespoon? Thanks for all your info! Hi. Here is the recommended dose of Golden Paste. Start with small doses such as 1/4-1/2 tsp and if you see no side effects then increase the dose gradually to 1 tsp 2-3 times a day over a few weeks. Best taken with food to avoid acid reflux. Avoid taking it at the same time when you take meds. Sorry,but I do not understand what you mean by Turmeric Paste.I grate fresh Turmeric Root.Can you please enlighten me as to what you mean by paste.I know what paste is :-))))) but would like that you explain Turmeric Paste. Will taking tumeric/curcumin supplements help keep away the pain during the night from a lower leg cramping up. Very painful. I have neuropathy which probably doesn’t help. Margaret, it sounds like you may have a deficiency of potassium, and likely also magnesium. I had lower leg cramps at night, but after having sufficient potassium and magnesium intake, it went away. Many people have a too low level of these minerals. Can I take the raw turmeric (hard roots) and swallow with water? If so, please tell the quantity. Also you can consume about 1/2 inch turmeric root (thoroughly cleaned and sliced) with major meals everyday. Please, what do you consider a small amount of the paste and how much total per day. Thank you! I’m suffering Oral Lichen planus. How I use golden paste and how many times a day ? Can I apply to the affected area inside mouth ? Assuming a dosage of 1/2 tsp at 3x/day, how long might it be expected to notice any results? Thanks! Hi there. I was wondering if I can make the golden paste and then add it to capsules as a paste rather than just the powder form? Im not a fan of the flavor, so I’m trying to still get the recommended amount in me best I can! If I fill the capsules with 1/4 teaspoon of the paste, then refrigerate in a glass jar, would that work? Hi. It is a bit inconvenient to take Golden paste in capsules as the capsules would not be suitable for storing oil and may melt. 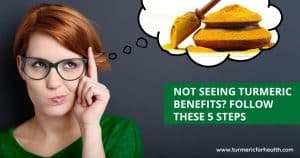 Mixing it in food or taking it honey may help mask the taste. Hope this helps. That does help for sure. Would the benefits be decreased if I went the capsules route? Or do you think it just wouldn’t work? Thanks for the response! Hi. The benefits would not decrease at all; it’s just that oil content would make it difficult to contain them in capsules. You could consider making Turmeric capsules at home and consume them after a meal containing healthy fats. Another method that readers practice to avoid the taste of turmeric is that they freeze Golden Paste in silicon molds to get cube shaped or coffee bean shaped balls of golden paste and they swallow 1-2 of them after meals. I love the idea of turmeric paste – although I’ve only looked into it briefly. I love what you’ve done here and your information is very detailed. Personally, I think I’d start with smoothies, but that’s just me. Can the paste be applied directly to the skin over an inflamed tendon on the wrist? I’m thinking of putting moist warm pack over the paste on the wrist to aid skin absorption. I realize the color will make skin yellow but I assume it can be washed off? I read through the posts and have my question answered. Will use turmeric and coconut oil for the application to the wrist. Yes it may mildly stain the skin yellow but this can be washed off. I add it to chicken , peppers, onions for tacos, goes great with fresh mango salsa. Hi Wendy. Glad to know you include turmeric in diet daily! Wish you great health! I suffer from side effects to epilepsy medication which causes my skin to be very very itchy , and dry . I can scratch until i bruise , I have tried all creams etc but nothing has helped and nothing from doctors has helped too. Hi. You can apply turmeric topically. Mix turmeric with coconut/olive oil and apply on the affected area 1-2 times a day. Leave on till 10-20 minutes and wash with cool water. Conduct a patch test prior. Since this a side effect of other medications, it is advisable to take turmeric orally. You can take Golden Paste. Start with small doses such as 1/4-1/2 tsp and if you see no side effects then increase the dose gradually to 1 tsp 2-3 times a day over a few weeks. Best taken with food to avoid acid reflux. Avoid taking it at the same time when you take meds. Turmeric milk or Golden Paste can be helpful for combating allergic rhinitis. 1 cup turmeric milk daily should help. I would mix turmeric & Manuka honey and apply as topical. Hi, I’m using turmeric paste for my dogs and have made a batch which looks great, but it looks alot more than 2 weeks worth so just wondering if I could freeze some for a later date. Thanks in advance. Hi Chris. Yes you can freeze the paste. It should stay fresh for more than two weeks when frozen. Hi, I suffer from chronic low back pain so I thought eating anti-inflammatory foods/spices may help. I’ve been making the tumeric paste for a couple of weeks now and I thought “What if I add other anti-inflammatory herbs/spices and make the ultimate anti-inflammatory paste”? Mixed up all the above (all in powder form) and make a paste out of it. What are your thoughts on the above? I’m curious if anyone else has tried something similar. Thanks, hope to hear back from you! Hi. That is an interesting mix but just be careful that you don’t over do it. 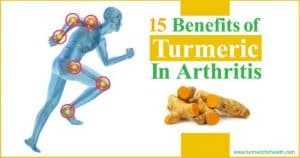 As far as research is concerned, turmeric, ginger, boswellia and cinnamon act in a synergistic manner and are sufficient for an anti-inflammatory action if taken at right doses. Your condition may require the use of curcumin supplements. Please consult a health practitioner about this. I am currently taking 1 rounded teaspoon of tumeric in some cooled boiled water with ground black pepper every morning. I normally suffer from swollen feet and let due to recurring phlebitis and this has gone. Is there anything else that this way will aid anything else. Hi, is there any side effects from turmeric paste and it be taking at the same time as other supplements? I have had a very bad breakout of spots on my face, large swollen pimples that are itchy. I am putting a steroid cream on which is taking the redness away and healing slowly but surely. Do you think I can apply the golden paste with coconut oil to the areas? Hi. You can make a paste of turmeric with coconut oil or olive oil and use it as a spot treatment. Do not use the golden paste that includes black pepper. Conduct a patch test prior. Hi! I just started on the Golden Milk about 5 days ago. I have a few questions that I didn’t see in the previous comments. 1) is it ok to make a large batch of golden milk and store it in the fridge? I made a batch of turmeric paste and use a few tablespoons with 4 cups coconut milk and honey, then we all drink a little through the day. Does it lose strength if not brewed fresh? Second, I accidentally left the new batch simmering on the stove for about 15 minutes. Did I just ruin 8 cups of golden milk?! I am grateful for the information and advice that you all offer and learned so much from reading these posts! Hi. Its fine to prepare a batch of golden milk and store it in the fridge. Preferably should be consumed within 3 days. Also you can make a batch of golden paste, store it and use a dollop of it while preparing a cup of Golden Milk when needed. And simmering on the stove for 15 minutes would not ruin Golden Milk but just make it more concentrated since it was 8 cups initially unless you have milk burnt and stuck over the sides. In that case avoid using that batch. Can the paste be frozen and then cut into small amounts and take as one would take a pill? Perhaps with a meal? Yes. You can freeze Golden Paste and cut it into desired amounts or freeze it in silicon molds. Then you can consume them after meals. Hello….. I am a smoker and have COPD as well what I diagnosis as IBSD. I love dogs and learned of use of Turmeric paste on Facebook for dog ailments. Decided that if good for them might be good for me. I bought “Nature Made” Turmeric Curcumin 500mg with instructions on bottle to take 1/day. Question I have is would making the paste be better? Since I just started taking the capsules a week ago , feel that is not enough time to tell if the capsules are really helping. Advice please. Hi. We generally recommend paste over capsules. But for your condition you may require a blend of both. So we would suggest in addition to the capsules you should add Golden Paste to your diet, starting with small amounts and then scaling up gradually. The combination would help attenuate side effects of smoking, aid in COPD and IBS. Is turmeric also good to fight against foot fungus? Thought I read this somewhere. Besides ingestion, any topical formulations. Any and all info on this topic is appreciated. Thanks. Also: GREAT web site! Hi. Turmeric has anti-microbial property and anti-fungal property; so it can help with foot fungus. For topical application, mix a sufficient quantity of turmeric powder with olive or coconut oil. Apply 2-3 times a day and let it be on the affected area for at least 30 minutes or more. Cover the area with gauze if needed.Conduct a patch test prior. victor.a sure way of controlling foot fungus is to rub cut raw garlic over the infected area, after bathing…it will sting a little but not for long. the properties of the garlic kills the fungus bug and aid in drying the area. Hi. Recently most health blogs are advising to limit sugar intake as fructose causes inflammation and many say the same about honey as well. Interestingly Ayurveda (traditional Indian medicine) does recommend taking honey for certain conditions and also for children to increase palatability of certain herbal preparations. The key is to limit total intake of sugar on a daily basis. Turmeric mixed with organic honey (sometimes tulsi and ginger is also added) is used in India to relieve cough and even cough lozenges based on this remedy are available here. You could also give him Turmeric milk- another remedy used to relieve cough in India and given to children as well. You may consult a herbalist or naturopath with regards to this. Can you use Ghee in place of coconut oil? Yes you can use ghee. But in that case avoid taking golden paste made from ghee with honey. As per Ayurveda, traditional Indian medicine this combination (heated ghee and honey) is not good for health. Can you please clarify what amount to use? I understand to “use a small amount of paste 3 or 4 times a day”. How much is a small amount? I am interested in using this to mainly to help lower cholesterol, and love the idea of other health benefits. My 2nd question is should the dose be adjusted due to weight? Should a person weighing 260lbs take the same as a person weighing 145lbs. Thank You in advance. Hello, and thanks for all these great tips! I made the Golden Paste. Is it OK to leave it outside the refrigerator for some time, so that it gets softer? Once I forgot it overnight on the counter. Is it all right to use it anyway? Hi Andrea. It is best to store in the refrigerator if it is a long period say overnight. Yes for a short time period you can keep it out of the fridge to get rid of its frozen state. In a humid climate storing golden paste outside the refrigerator is tough; if that is not the case with your location it should be fine. Please check the aroma and color before using it. Leaving it out for 1 night should not have affected the quality. Hi – I made the golden paste using the recipe provided on this site. My husband has psoriasis which has become worse over the last year I was told about turmeric benefits and stumbled across this site which I have found very helpful…. I have a couple of questions…..
2) I am also giving him 1 teaspoon of the golden paste in warm milk before bed. Is this a sufficient amount? Hi. For topical use make a paste of turmeric powder and coconut/olive oil and apply it 2-3 times a day on the patches. Do not use black pepper. Also conduct a patch test prior. 1 teaspoon of golden paste with milk at night is great and sufficient. Aloe vera gel also helps in psoriasis. The recipe calls for different oil ie: raw cold pressed/unrefined coconut/flaxseed-linseed oil etc. I only use 1/3 of a cup of one or the other, Right? not 1/3 cup of all of them. Cause that’s what I’ve been doing, just made my second batch with 1/3 unrefined coconut oil.. Dogs have been on it for 2 weeks now, I do find that when they let off gas it has quite a smell to it, is this normal? Yes its 1/3 cup of either coconut oil or flaxseed oil. Not 1/3 cup of all. You can try reducing the dosage of turmeric that you give to your dogs so that their digestive system gets used to it. And then you could gradually increase to ideal dose over the weeks. Adding 1/2-1 tp of cinnamon powder to the batch can take care of body odor if your pets face that issue. I would strongly advise against giving anything with cinnamon to any pets, as coumarin is toxic to them. However each pet lover is the best judge for what is right for their pet. my recipe from New Naturals Organic Spices calls for 1 Tbsp of Ceylon Cinnamon so now you have me worried. I just made my first batch and after the comments about cinnamon i am now nervous about giving it to my dog. If you are skeptic, please avoid giving it to your pet. 1 tsp of cinnamon for the entire batch suffices. You can directly add golden paste to your granola, no need to cook it again. Brown diced onions in a little oil, add organic tumeric powder – fry that off … then add prewashed rice and stir around so every grain of the raw rice is coated with oil and turmeric … add chicken stock and cook (normally we use a rice cooker – so levels are already marked and the button pops up when rice is cooked) .. amazingly delicious especially with curries. Marinate your chicken pieces with crushed garlic, sesame oil, crushed garlic, organic turmeric powder, (Optional: a little chicken stock powder or salt) .. best left overnight to marinate or minimun 20minutes – Roast at 180C til golden – turning once and OMG … it will go fast !!! Coat pieces of fish or even whole small fish with organic turmeric powder and salt … apply into the cavity of the fish stomach too – marinate overnight or min 20minutes – deep fry in vegetable oil or roast it … yummm !!! Hi. Thank you so much for sharing this. If you have some great recipes do mail us at [email protected] and we could feature you on our website with due credit. Hi I have Ra. I am adding cooked turmeric ginger and black pepper to fresh squeezed pineapple juice as I have been informed pineapple juice contains anti inflammatory properties. It is delicious. I am also experimenting with other recipes. 1teaspoon of golden paste added to two scrambled eggs for breakfast is very good, I normally add a little fried ginger. Problem, not work for me yet, but after reading some replies, I may be not taking enough. Hi Julia. The combination of raw turmeric, ginger, black pepper and pineapple juice is great. However we would recommend you to increase the intake of Golden Paste to 2-3 tsp a day or how it suits you. Increase by 1/2 a tsp every week till you gradually reach a dose that benefits you with any side effects. I hate the taste so if i freeze very small quantities can i swallow it frozen like a pill? Yes you could do that. Make the paste and allow it to cool. Pour it in suitable molds and freeze them. You could swallow them with water immediately after meals. That’s great. Thank you for sharing this. We will include this combination in the list. You typed all of those words, yet never once gave an exact dosage. Why? “small quantities 2-3 times a day” is as inexact as you can possibly get. Is a small quantity 8 tbl spoons? 1? Hello? Hi. Small quantities 2-3 times a day would be roughly 1/2 to 1 teaspoon 2-3 times a day. But yes there are people who take around 2-3 tablespoons in divided doses in a day; it depends on how it suits each individual. Can I take the golden paste with raw garlic. I’m use to taking a clove of raw crushed garlic with honey once a day by just swallowing. Turmeric goes well with any other spice. But its advisable that you take this combination immediately after meals to avoid acid reflux symptoms. Why not add some salt, ground fenugreek, coriander, cumin, and garlic and turn it into a condiment to go with meat, grains, legumes, or vegetables? I may replace some of the water with a little ume plum vinegar (the brine from making umeboshi plums) so it tastes like an Indian pickle. How long does it take to work, i have been taking golden paste for a few days now and want to give it to my dog instead of the pills from vet for her bad cruciate ligament. I tried some almond milk with teaspoon of organic powdered turmeric which tasted ok but not what you would call enjoyable. Then I suddenly thought ‘what will this do to my teeth’ as was worried they would be stained. Brushed them straight afterwards and the toothbrush was a bright yellow. So how can you take this every day without permanently damaging teeth. Actually, turmeric is used for whitening of all ironic things. On youtube…. I’ve tried and it does whiten teeth. Hi Felicity – re your comment about yellow teeth/toothbrush. I swill a mouthful of coconut oil in my mouth, pulling it through my teeth as you do with mouthwash, for 10-15 minutes twice a day and I have noticed how much whiter my teeth are. Don’t be put off by the time factor – I take a mouthful of the oil and go about my daily routine, either having a shower and getting ready in the morning, or sitting watching TV. I have been taking the golden paste now for 3 weeks for Ross River Virus flare up and I am feeling the best I’ve felt for 2 years. Have not read all the comments but would like to add, Adding milk\yogurt to any antioxidant like turmeric removes all antioxidant effects. example Dark Chocolate with milk removes the great cardiovascular benefits and makes it unhealthy. This is interesting, but in real life people benefit by consuming Turmeric Milk. There have been no reports of reduction in its therapeutic properties.In fact yogurt and buttermilk can increase bioavailability of turmeric and curcuminoids. I meant my reply to be directed to Ms. Bing. Reading down I can see the moderator has brought the required science to the question. Adding the golden paste along with ginger,Garlic and cardamon to cooked and mashed winter squash, liberally, is a delight!! buddy who told milk reduce antioxidant? it false the thing that fucks up normal chocolate in comparison with dark chocolate is sugar & cream not milk second dark chocolate is better because of the amount of coco bean, which is more in dark chocolate in comparison with normal chocolate in per gram of chocolate so its not milk faults its sugar fault. on the contrary fat in milk will increase its absorption. plus Ayurveda which is over thousands of year old too recommend it with milk. I like tumeric in my oatmeal. I get tired of sweet oatmeal, so do savory with a little salt, black pepper, garlic powder and tumeric. I really enjoy it. After reading this article, I think I’ll add coconut oil too. Thanks for the wonderful info! I found a recipe for tea with cayenne and Lemon Essential oil. I hate black pepper and do not use it unless I have to. I prefer white pepper or small amounts of cayenne. I am allergic to coconut so I will have to use Olive oil. 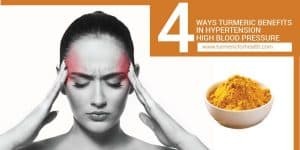 My question is – What is the difference between black pepper, white pepper, and cayenne pepper as it applies to bioavailability of the turmeric? It is the piperine in pepper than you are after – so the cayenne wouldn’t be any good, but the white pepper should be OK, you might want to use a touch more as the piperine content is a percent or two less than black. Black pepper has piperine which increases absorption of curcumin in turmeric. White pepper does have piperine but interestingly a study shows that it reduces bioavailability of drugs. Cayenne pepper does not contain piperine and its spicy taste is a result of capsaicin which hasn’t been found to benefit in curcumin’s absorption. What about putting it into gel capsules and taking it? have you tried this method Stacey??? This would be most appropriate for my hubby as he dislikes the taste imensely! Someone above stated they freeze it and swallow it that way. what would be the right amount to take – 1 tea spoon or table spoon ? how many times a day ? Anita, thank you for sharing the innovative ways by which you include turmeric in your diet. I grow my own turmeric and juice it. I then put the juice in freezer trays (used for freezing ice cubes). You will always have a ready supply of turmeric to add to smoothies, hot lemon drink etc. I then dehydrate the leftover turmeric pulp from the juicer and add to crackers,curries, etc. I use the whole turmeric root. I am wondering if anyone has a use for the leaves? Can they be eaten, maybe steamed or dehydrated to make ‘chips’? You can cook it with meat, is used in Indonesian food. Netti that is an excellent way to use turmeric root. Turmeric leaves can be used in cooking. You could tear them and add it at the end to curry or soup. You could steam them too. I mixed up my ingredients as stated, but forgot to only mix turmeric with water first, I put them all in at once and stirred. I got a nice smooth paste, but when cold has not gone to a paste ie spreadable, it’s thicker – does this matter, I’m taking it and hope I receive the benefit. Any help out there? Has anyone tried coconut milk, cocoa powder, coconut oil, turmeric, cinnamon & black pepper or cayenne, sweetened with good quality honey or agave? I’m thinking of making a paste without the coconut milk. I’m envisioning a chai-like flavor delight. If I get the right ratio I’ll let you know. 🙂 Without the cocoa, it would be a nice soothing nighttime sleepy time drink. Did it work in Chai? This seems interesting. We would recommend black pepper over cayenne and honey over agave. Do share this recipe with us if you like. I add the turmeric paste to hot water, local honey, cinnamon, lemon and a little milk (whatever type I have on hand. Have even used a bit of 1/2 and 1/2). Tastes like a chai for sure! I have also added a little bit of pure vanilla. Even my 3 year old loves it. You did nothing wrong. Coconut oil solidifies below 76 degrees Fahrenheit. Most likely since it’s winter time, you must live somewhere colder. Try it in mashed potatoes and scrambled eggs. My immediate thought was scrambled eggs! Obviously it can be added to curries etc but does heating it affect its action at all ? reply from J’net — Hey Hazel, in regards your post about adding it to scrambled eggs. Thanks for the great idea! I just made a delicious breakfast meal using eggs… kind of a Skillet. Even my husband liked it. 2 Tbsp butter, 1 small onion chopped (quercetin assists assimilation of cur cumin), 4 med mushrooms, sliced. Sautéed until golden brown. Added 1/2 tsp curcumin, 1/8 tsp black pepper, 5 shakes of cayenne, and two shakes himalayan salt. Mixed it in. Whisked 5 eggs & poured on top. Put the lid on to cook on low. When almost done I sprinkled some feta on top & a couple more dashes pepper. Wow was it ever good!!!! Goooood! But too involved for me. Here is my version (much simpler): In a soup plate add 1 spoonful of olive oil (coconut oil will also do). Add 1-2 eggs. Microwave repeatedly (3-6 times, depending on the number of eggs) for ~20sec and mix in-between to achieve homogeneous heating. Add thin slices of feta cheese all over and m/w for one last time, until the feta almost liquefies. Mix with a fork to homogenize at will. Add the golden paste or turmeric + peper (+ ginger) powder at will. Mix again. Enjoy anytime w/ or w/out green salad. Microwaving totally changes the atoms of ANYTHING microwaved, including water….VERY BAD! Do a search about microwaves and how UNHEALTHY they actually are! I actually don’t have one in my house anymore, got a small countertop oven, and can cook anything in almost the same amount of time and know it is much healthier than the microwave. Hi. Thanks for sharing this recipe. I add tsp of powder to eggs with black pepper before I beat for omelettes and scrambled eggs. I also add the same to batter mixes. Great website! I am thinking of this recipe. Turmeric, organic black pepper, coconut oil and organic raw honey. No cooking. Just mix it well. Jar it. Eat it. I thought of no cooking to keep it fresh longer. Will that work? Do I have to refridgrate? Yes that is a good recipe. Cooking actually increases the absorption of turmeric. And despite of cooking it tays fresh when refrigerated at least for 5-7 days. hi, would the paste keep in a brown glass jar carried in a bag? i would want to take this to and from work. or does it need to stay refrigerated at all times until you are ready to eat some? Yes you can carry it for work or anywhere, the amount you require. The rest of the batch can be stored in the fridge. I enjoy adding golden paste to plain yogurt with a spoonful of honey. Give a stir and enjoy. Yum! I use yogurt with 1 tspfl of cinnamon powder + 1/2 tspfl turmeric + a bit of peper, all well stired, for breakfast. You can leave the mixture in the fridge overnight, so that the soluble stuff comes out of the solid phase of the powders (I suppose this will increase absorption). I didn’t think the cayenne pepper did the same as the black pepper??? Yes! why not. The only aim is to get it into the body 🙂 paste or no paste does not matter at all. If you freeze it does that mean you can keep it longer than a couple of weeks? I made it for myself and the dog, but I made double the recipe so we may not get it all taken before 2 weeks. You can freeze and store the golden paste for 1 week but users state that it stays good for 2-3 weeks when frozen. What exactly goes bad over time with the Golden Paste? It must be the tueric powder because I do not think coconut oil, water or pepper spoil. Just curious as I had some in the fridge for a couple of months. Smell seemed OK. Saw some solidified coconut oil on top. I did not eat it because of cautions but really would like to know about the spoiling mechanism. Can you help? There is no mechanism as such but foods without preservatives stored over long periods of time do lose their freshness. Piperine in black pepper is a volatile compound and even turmeric powder stored over long period loses its aroma and pungency. So it is best to consume it within 2-3 weeks of preparation and make a fresh batch. I made this golden paste today with coconut oil and put it into a glass jar…seems as tho the coconut oil has solidifed and the whole jar looks funny?!?! Any suggestions as to what I did wrong here? The solidification could be a result of climatic conditions or storage temperature. Keeping the bottle in warm water bath can help. Sound like a good idea, just taking yet another tablet, which is far easier than trying to add to food Lol. I don’t cook either! Yes you could consume Golden Paste in that manner. MaryAnn you can visit the page http://www.turmericforhealth.com for recommendations on brand of turmeric. The dose is 1/2 teaspoon of Golden Paste daily and you can gradually increase the dose to 1-2 teaspoons for 2-3 days or how it suits you. Yes users do feed golden paste to cats. Start with 1/8 tsp and increase gradually to 1/4 tsp 2-3 times a day gradually. Mix it with the food. When I make turmeric tea and wait 10 mins., there is always a lot of undissolved powder in the bottom of the cup. Are you supposed to drink this as well? Hi Ron, yes! Just shake and drink. I use turmeric daily–a little with every meal. But I never heard of turmeric paste. How is it made? Is taking it any better than using turmeric powder? As for turmeric tea: I thought that heat lowers the quality of the curcumin, so why take turmeric as a tea, unless you happen to enjoy it? Oh, and I can’t eat irritating spices, so pepper, ginger, even cinnamon are out. 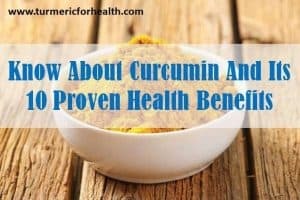 Are there other alternatives for increasing the absorption of the curcumin? I mix it with peanut butter, half and half. Couldn’t stand the taste until I hit on this..The dogs like it too this way. All of the comments are so inspiring! My husband, who deals with Parkinson disease, is using the paste with manuka honey (20+) , cinnamon in almond milk and loves it. His energy levels have improved over the past three days of beginning this endeavor. hi,question… i have raw turmeric,how do i prepare and consume? can i blend it with milk and honey,if yes how do i measure it? also it is poorly absorbed by itself… what can i add to my milk and honey drink to help boost it’s absorption? Ground black pepper helps tremendously with the absorption. You mention small amounts 3 times a day. What exactly is a small amount. I Have no idea. I would like to know as im going to start using this recipe. Thank you. It just means that whatever you plan to take in a day just take 1/3 in three dosages. If you are just starting taking 1/4 tsp a day is a good start. So in that case you can take 1/8 tsp twice a day and so on how your body takes it. I put it in my coffee in the morning with some creamer and brown sugar. I mix GP with my warm lemon water, Cayenne Pepper “tea” in the morning and my warm Apple Cider Vinegar, fish oil and honey at night. I like the taste and it hides the fishy taste. Yebo from South Africa, posted before but worth repeating. I mix up a week’s portion of equal quantities turmeric and cayenne (7 tsps of each and both organic) with coconut oil to make a fantastic creamy paste. It is so yum and so good in so many ways. The best of 3 absolutely top, healthy foods. Read about the benefits of coconut oil and cayenne and …. Hi Richard, what brand of turmeric do you use in SA? Thanks. Hi Richard, do you cook it as advised in golden paste remedy or is your mixture whipped together raw?? Has anyone heard that milk also causes inflammation in our body? Yes I have heard this about dairy and have started to take my golden paste in warm almond milk. Tastes quite nice. I mix a bit of golden paste with olive oil and then mix that with my senior doggie’s canned food. It helps her with her arthritis pain. How much you mix? No black pepper? THE best spice. Add with 2nd best and best oil and you have the perfect paste. It’s sooo good, it tastes like nectar now!! I mix up a week’s ration at one time in glass jar. 7 tsps organic turmeric, 7 tsps organic cayenne and 7 tablespoons organic coconut oil. Absolutely brill mix. Started off with 1/4 tsp cayenne and built up to 1:1 turmeric. This mixture does EVERYTHING. Hmmmmm…haven’t tried it with cayenne pepper.